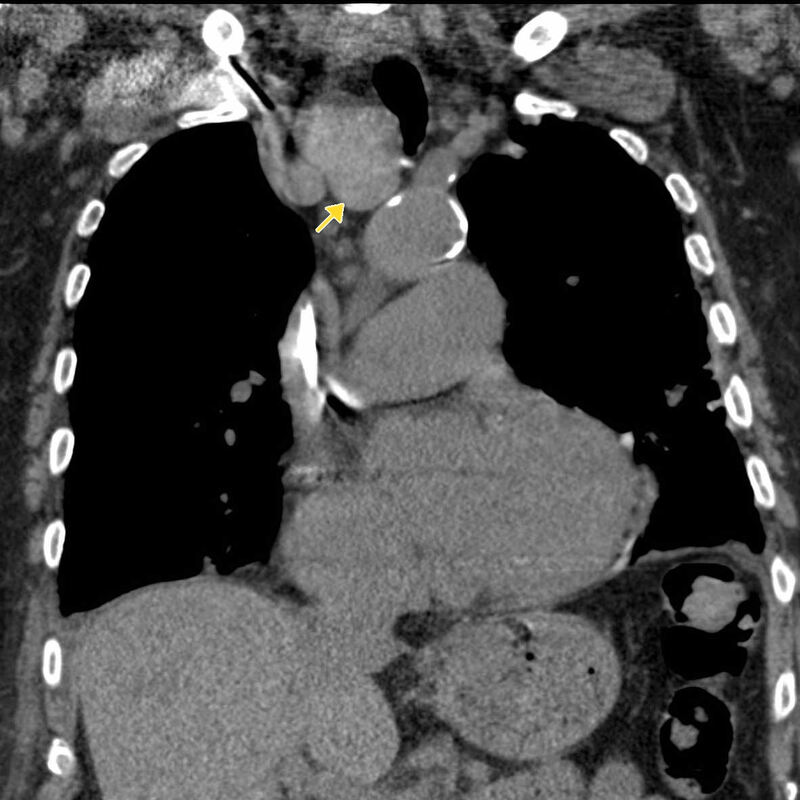 This pathway provides guidance on the imaging investigation of an adult patient with a mediastinal mass. 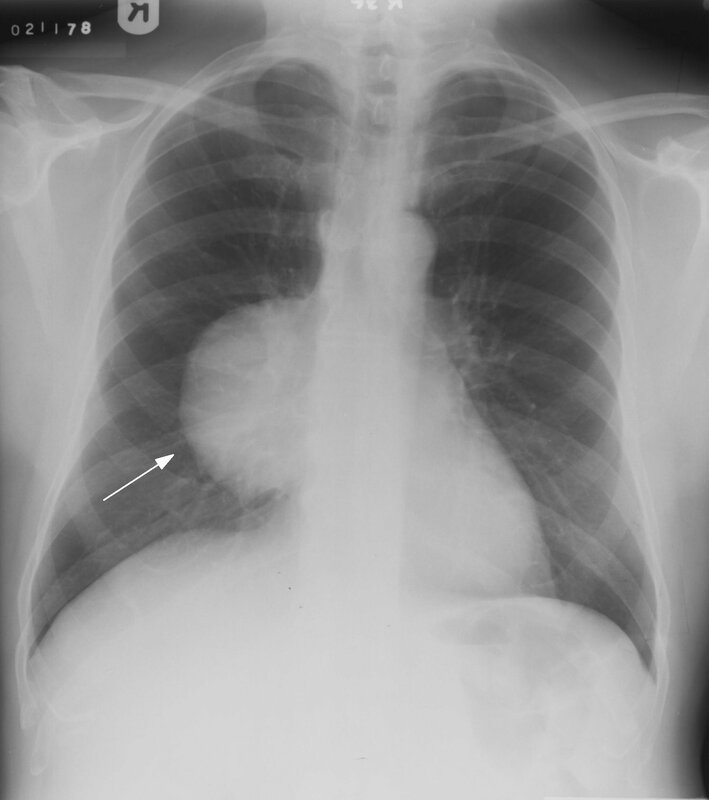 Image 1a and 1b (Plain Radiographs, PA and Lateral): A large circumscribed mass is seen arising from the mediastinum and projecting over the right hilum. 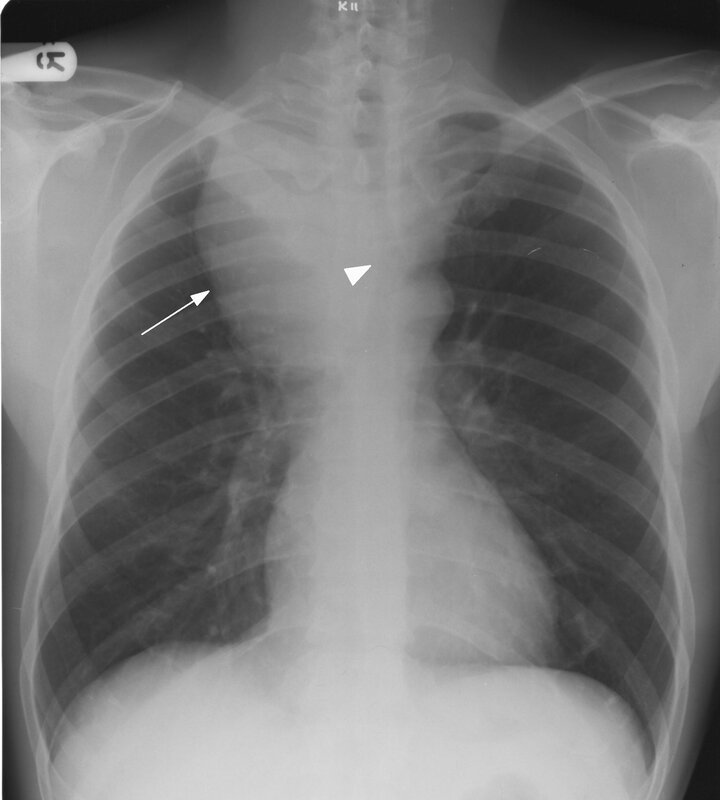 The lateral confirms its location in the anterior mediastinum (arrow). 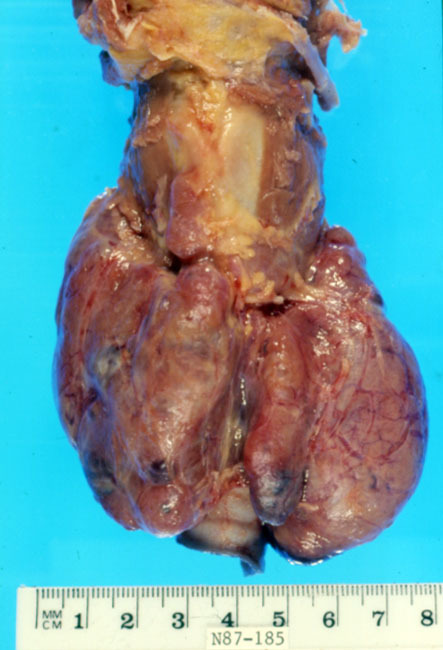 Histological assessment revealed a thymoma. 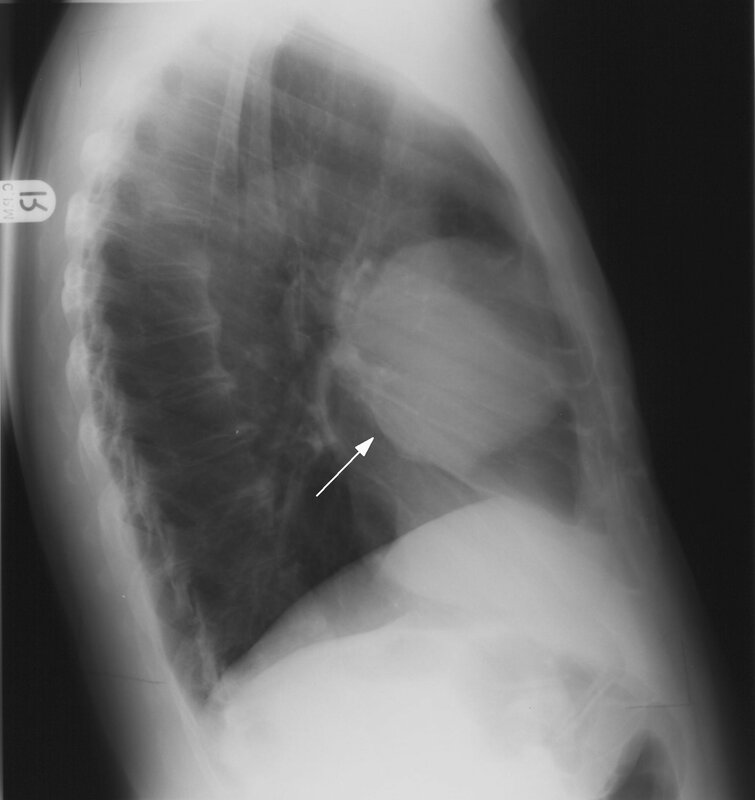 Image 2 (Plain Radiograph): There is a large circumscribed opacity projected over the superior mediastinum and over the right upper lung zone (arrow) displacing the trachea to the left (arrowhead). 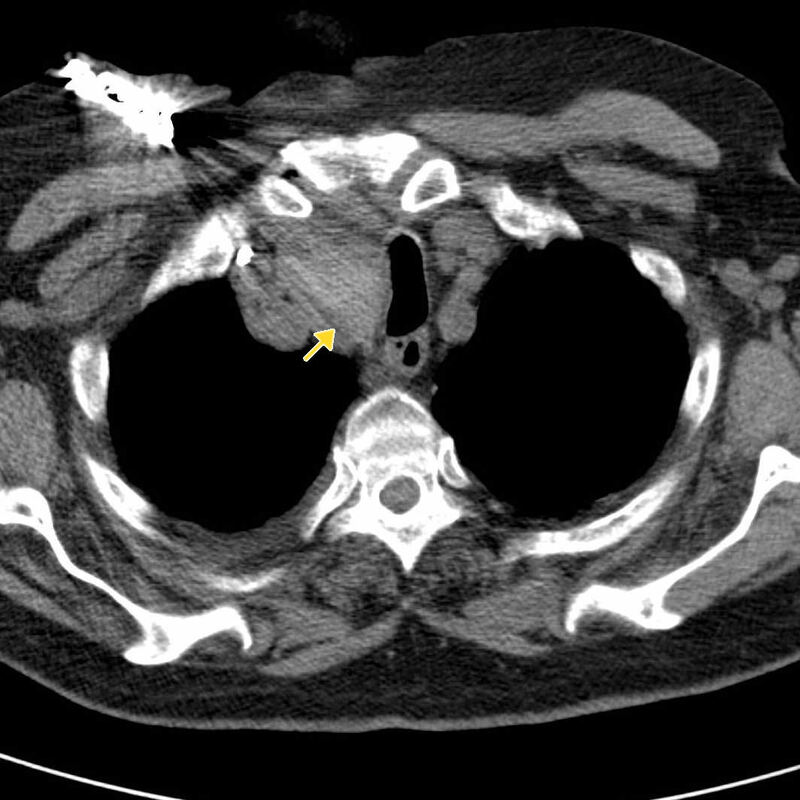 The features suggest a large retrosternal goitre. Image 3a and 3b (Computed Tomography): The right lobe of the thyroid is considerably enlarged with retrosternal extension and deviation of the trachea to the left (arrows). There are a few mediastinal nodes which measure around 1cm in the short axis. 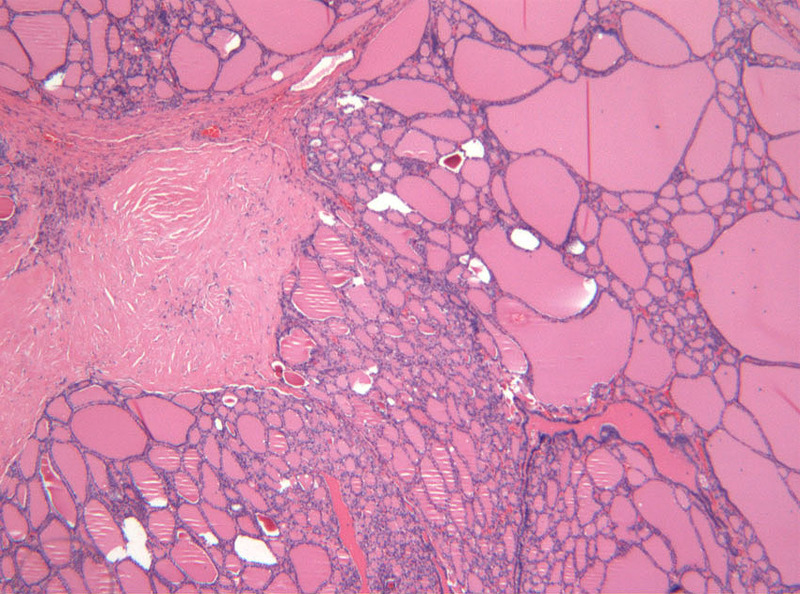 Image 4a: Post-mortem specimen showing bilaterally enlarged thyroid lobes with coarse nodularity externally in keeping with a multinodular goitre. 4b Image 4b (H&E, x2.5): Histological section of a multinodular goitre showing the usual features of variously sized, colloid-containing follicles lined by uniform epithelial cells, patchy areas of haemorrhage and fibrosis. Yasufuku K, Nakajima T, Fujiwara T, Yoshino I, Keshavjee S. Utility of endobronchial ultrasound-guided transbronchial needle aspiration in the diagnosis of mediastinal masses of unknown etiology. Ann Thorac Surg. 2011;91(3):831-6. (Level III evidence).